May the defense shine like this man's forehead. And it's not that the defense looks athletically overmatched. They look unprepared and poorly coached. With one of the most potent offenses in the country and the Heisman front runner manning the ship, Michigan's eventual 7-5 or 6-6 finish will fall squarely on Robinson's shoulders. I'm not usually quick to call for peoples' heads, but unless there is drastic improvement in the coming games, consider this my desire to see Robinson canned as soon as possible. The season ended, of course, in the worst defensive performance in Michigan history. There was the triple-overtime win against Illinois in which the defense couldn't stop Nathan Scheelhaase, a player nearly incapable of throwing a downfield pass. Craig Roh spent significant time at linebacker. The team ran almost exclusively a cover-2 zone defense. There was no blitzing. Linebacker play was erratic. The defense allowed Wisconsin to run the ball in excess of two dozen times in a row en route to a Badgers victory. Everything about last year was awful. 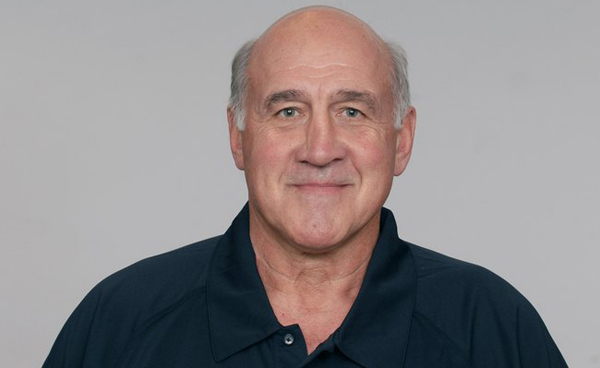 With the Rodriguez-to-Hoke transition, the biggest cause for excitement was the snatching of Greg Mattison away from the Baltimore Ravens to make this smoldering crater into something resembling a competent defense. We'll see if he's able to with the pieces at hand. The defensive line is both terrifying and a spot of encouragement for the defense. Since Michigan just released its two deep, there's no debate as to who will be playing where. Martin is no surprise as the returning Hulk machine on the defensive line. Van Bergen moves inside, a position switch not too uncomfortable for him, and Roh finally (finally!) gets his permanent spot back on the defensive line, making last year's linebacker experiment a distant memory. It's a little surprising that Will Campbell finds himself backing up Martin. Much of the spring chatter had Campbell moving to the 3-tech position, freeing up Van Bergen to play SDE. But rumors of Campbell's rise and fall have been swirling for some time now, and he finds himself backing up Martin as the nose tackle. At first blush, this isn't so bad. A lot is going to be asked of Martin, and having someone to platoon the position is a must. Campbell is really the only other person on the roster that can fill the nose tackle position. As for production, this unit should be far more effective than they were last year. For the most part last season, Michigan rushed three down linemen and let the crippled secondary deal with endless coverage. It did not go well. With a four-man line and Roh's move back to DE, the defensive line should be able to create pressure by themselves. Even last year, with an incoherent defense, Martin and a four-man line were able to generate some pressure. Add in Mattison's blitzing tendencies, and we should see a far more productive unit. Speaking of which, there have been plenty of rumors, pictures, and even footage (the spring game) of the defensive line dropping into coverage on zone blitzes. This is something that Greg Robinson dabbled in last year, but it never became a staple of the defense. It looks like Mattison is going to bring plenty of pressure from the linebackers and have the defensive line dropping into coverage. Given Martin's experience with this and Roh's time at linebacker, this could be a devastating change up. The best part about this play is that it's obvious that Demens is learning, the lack of which was one of the biggest complaints about Ezeh's tenure as the starting middle linebacker. In the span of two games, Demens went from completely clueless to perfectly playing nearly identical plays. With continued playing time, this is evidence that we can likely expect Demens to progress in his pass coverage skills. Whether or not we encounter more crippling mistakes like Demens showed against Iowa in order to get to these moments is yet to be seen, but at least for now, we know his ability to recognize, diagnose, and execute plays is improving. Cam Gordon starting at SLB is an improvement over where he played last year (free safety). His hitting ability and pursuit are both excellent for the position, and his time spent at safety should make his pass coverage a strong, versatile attribute for Mattison to play around with. He'll have to hold off newcomer and spring game standout Jake Ryan, but for once, there appears to be competent depth at most of the linebacker positions. WLB will be a bit of a journey with mostly untested players manning the depth chart, but there should be a serviceable WLB somewhere in the lot. Like the defensive line, the change in scheme should be beneficial for this unit. MGoBlog spent much of last year criticizing Greg Robinson's deployment of the linebackers at an inadequate depth. Mattison's schemes likely won't put the linebackers in such harrowing positions, decreasing the amount of frustrating pancake blocks and loss of contain. I expect this unit to be significantly better against the run and filling gaps, and their pass coverage should be adequate. If Demens can stay healthy, this should be a functional linebacking corps. Troy Woolfolk returns from purgatory as the experienced veteran. Were he around last year, the defense might have begun to resemble competent. But there's no use crying over spilled milk. Woolfolk proved himself to be a decent Big Ten corner in 2009 when he was moved from free safety, and I expect he'll have a successful year, possibly good enough to make people realize that the hype poured on Donovan Warren was terribly misguided. Avery is a true freshman and needs to be taught not to do too much--this is what coaches talk about when they say "doing too much". He tried carrying the slot receiver to make sure he didn't get open, but in doing so, he opened up the outside hitch route. Avery is clearly used to playing man coverage and actually does a really good job on the slot receiver in this play, but you can see him making this same mistake a few times during the game: he stays with receivers too long and vacates his zone. If he can start settling in his zone better, he could become a more consistent contributor because, as with the pass break up above, Avery sticks to receivers. I expected Cullen Christian or Talbott to see the field before Avery this year, but at this point, I wouldn't be surprised to see Avery starting alongside Floyd. Despite Avery's habit of vacating his zones, he proved to be a fast, smart corner that was able to hold his own, for the most part. This season, Avery should be more capable in coverage and know his assignments better. The backups will be precisely that: backups. There are young guys on the two deep that will, with any luck, spend most of their season on the bench. The Woolfolk/Avery starting tandem should provide Michigan will a decent set of corners that can cover man-to-man or zone, allowing the front seven to attack the quarterback and stop the run. I have never been a big fan of Jordan Kovacs and I'm still unconvinced that he can be the starting strong safety on a good defense (though MGoBlog's depth chart lists him as a free safety, I'm pretty sure that's wrong). Kovacs doesn't have the physical attributes needed to be a great strong safety and the mental side, while he's proven it's stronger than most others competing for the position, is still not at the point where he can compensate for his physical limitations. Marvin Robinson is on the bench behind him, and I'd like to see the highly touted recruit get a chance on the field, especially against early-season cupcakes, but this appears to be Kovacs' job to lose. There will be plays this year in which Kovacs' speed and lack of strength result in bad things. At free safety, Thomas Gordon and Carvin Johnson battle for, essentially, the same position they flip-flopped on last year. Though last year they were closer to the line of scrimmage and handled a lot of coverage duties, this year they'll be playing similar positions albeit at much more depth. Both have decent speed, but the mental side of things is still coming together. This unit is going to continue to have its struggles this year, and will result in a number of badly blown coverages. The situation is not nearly as dire as it was last year, at least. So back to the whole point of this post: What should we expect to see on Saturday and throughout the year? As has been rumored, Mattison will do wonders for this defense, not only teaching the fundamentals, but also varying up the playcalling with zone blitzes, man and zone coverage, and various personnel groups. If I had to put a number on it, I would guess the defense leaps to somewhere around the 60th best defense in the country. The talent and personnel are mostly in place with a few exceptions, and the defense should be able to hold itself together because of it. There will still be a number of forehead-meet-palm breakdowns, but not nearly as many as there have been in the past few years. Barring injuries, this will be a competent unit that will keep Michigan in games and won't explicitly lose any for the team.